Salinans went to the polls on Tuesday and elected three city commissioners and four members to the Salina USD 305 Board of Education. Hoppock and Hodges will serve four-year terms while Hay will serve a two-year term. Gary Denning won a two-year term. 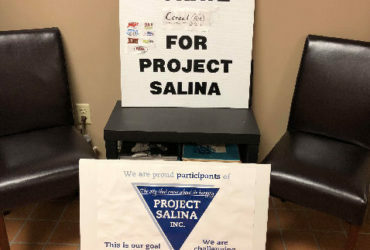 Saline County Clerk Jamie Allen told KSAL News that voter turnout for a city election like this is typically between 12 percent and 18 percent. She had optimistically predicted a 21 percent turnout. Final number indicate that turnout was 18.23 percent. It was Allen’s first election as county clerk. She told KSAL News she was pleased with how things went. The results are unofficial, until the Saline County Commission meets later this week to canvass the votes, and certify the election.